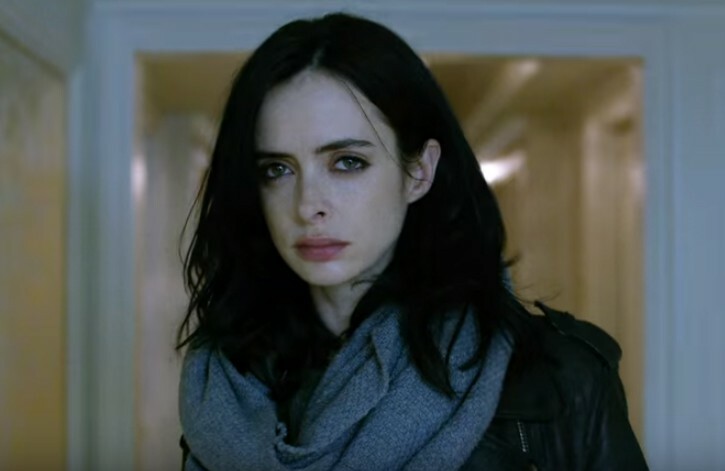 Abusive relationships are a very real and very horrible problem in our society….Here is what Marvel’s Jessica Jones does to shine a light on this fact. So I’ve recently watched the TV show Jessica Jones and as I made my way through the show, I started to notice something about the antagonist of the show (played by actor David Tennant) I’ve seen signs on how the antagonist of the show, Kilgrave, though he has super powers, is actually an abuser. Here is what I’ve noticed: In terms of abuse it seems her abusers approach was that of emotional abuse. What is emotional abuse? It involves a regular pattern of verbal offense, threatening, bullying, and constant criticism, as well as more subtle tactics like intimidation, shaming and manipulation. Emotional abuse is used to control and subjugate the other person, and quite often it occurs because the abuser has childhood wounds and insecurities they haven’t dealt with — perhaps as a result of being abused themselves. Yes, he has mind controlling powers but the way we have seen them being used, especially on this one character (and the side effects it all had on Jessica Jones) we have seen how he uses it to abuse and control people. He is controlling in the sense of always needing to know where she is going, what she is going to be doing, taking her phone and making sure (by making threats he goes through with) she is back within certain time frames. Her abuser also plays the victim. (common trait in most abusers) That the actual victim of the abuser is making them do things or something else made them do it. Like things are his victims fault. an example was a conversation in Episode 7 that Jones has with her abuser. (its a little later in the post) There was a time where he would make Jessica Jones hurt herself then make himself save her, pretending to protect her and be the hero or he would make statements such as: “You never appreciate anything I do for you.” making himself the victim and turning it around on Jones herself. Making her think he wasn’t doing anything wrong. After her leaving him and getting out of his control, Kilgrave is dead set on finding her and has developed stalker like behaviors (which he probably had before to some extent). Taking photos of her, having others take photos of her and follow her (etc.) Which leads into my last point. Abusers isolate the victim of the abuse. In the scene I’m gonna share in a moment you see this play out in terms of the fact that her abuser is trying to isolate her from everyone she knows. (In this case, killing people close to her doesn’t stop this guy but this is a TV show and a super villain we are talking about in this sense.) In return he is telling her things, professing feelings for her and in result trying to make sure she is isolated and only hearing his words and his opinions. The scene continues and Jones calls her abuser out on his actions calling them a ‘demented declaration of love.’ and how he ruined her life in this act. She couldn’t be any closer to the truth. Her abuser then says he was trying to make her see “That I’m the only one who matches you… Who challenges you… Who’ll do anything for you.” – In any other case this might almost sound romantic because who doesn’t want to be with someone who will do anything for you or challenges you for the better? But as you can see its not romantic. Not in this sense. Not when he is stalking her, killing her friends and family (he killed a young man who claimed to love Jessica), and becoming obsessive….Trying to get her back. Now sure, no one has superpowers either so this whole abusive situation might be over-dramatized for the show but I feel Marvel was clever in this sense. They took a mind controlling super villain and used him and his abilities to shine a light on abuse. What that looks like and how it might appear to the victim as well. You don’t have to have powers to control or harm someone. If you did this wouldn’t be a real problem, would it? But despite the fact that this character has powers it doesn’t change the fact that he is an abuser and I think Marvel did a really good job in conveying that and not portraying an antagonists actions as okay or somewhat acceptable as most media might convey things.